A big thank you to my friends over at Ricardo Cuisine for sponsoring this mouthwatering grilled pork ribs post. All the opinions, text and photographs are my own. 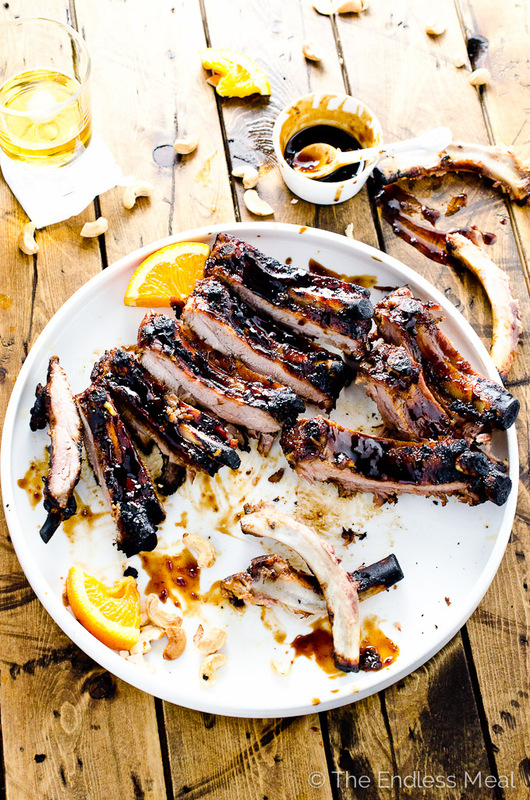 Today I have one of my favourite ever things to share with you: grilled pork ribs. The recipe for these babies comes from Ricardo Cuisine, a site I've visited many times when searching for delicious inspiration. 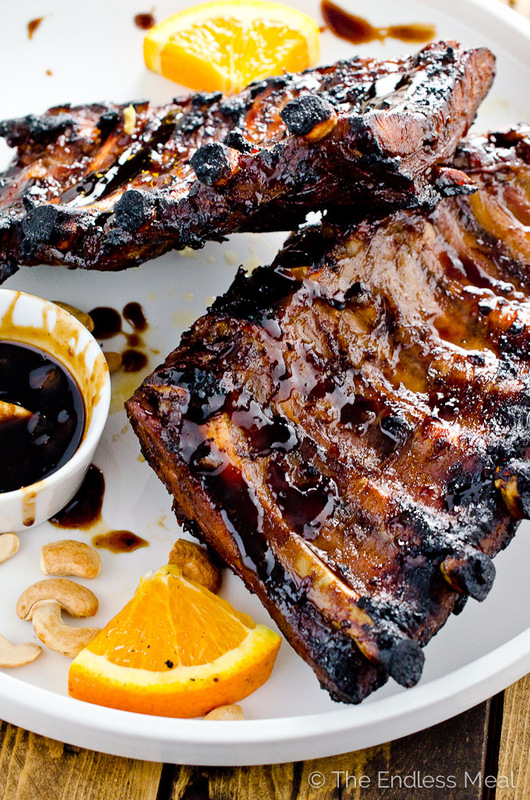 They're basically the best things ever – both the ribs and the site! The recipe is different than any grilled pork ribs recipe I've made, or even read before. You start by simmering the ribs until they are very tender (think braised or crock pot tender), and then you marinate them, and then finally you grill them. The three steps do take a bit of time, but since 99% of it is hands-off time it really is a very simple recipe. Did I mention how tender the ribs are? Oh yes, I think we've been there already. You'll have to forgive me, they really had a bit of an effect on me. The fall-off-the-bone meat all smothered in the most delicious sweet and tangy ponzu sauce was almost too much to handle. After dinner, all that was left was a plateful of the cleanest looking bones you've ever seen. When I teamed up with Ricardo Cuisine to bring you these incredibly delicious, perfect, amazing (enter any superlative you can think of) grilled pork ribs, we talked about me choosing a recipe from their BBQ Recipes category to share with you. I don't want you to feel sorry for me, but it was quite the job. Seriously, trying to choose just one recipe was darn near impossible. There're pages and pages of delicious meats and seafood with picture-perfect grill marks on them, veggies that are beautifully charred, loaded burgers and brightly coloured salads. Every picture had me dreaming of summertime BBQs, picnics and outdoor dinners with friends. To read the full recipe for these Grilled Pork Ribs with Ponzu Sauce head over to Ricardo Cuisine. I just know you're going to love them! My oh my! These ribs are superb! They are stunning! Just look at how tender it is. It’s marinated really well and there’s no doubt that it is so mouthwatering. I”m really loving this recipe! Delicious! You just put the biggest smile on my face … thank you! I wish I could take credit for the recipe cause they really were delicious. Oh wow – I love ponzu! 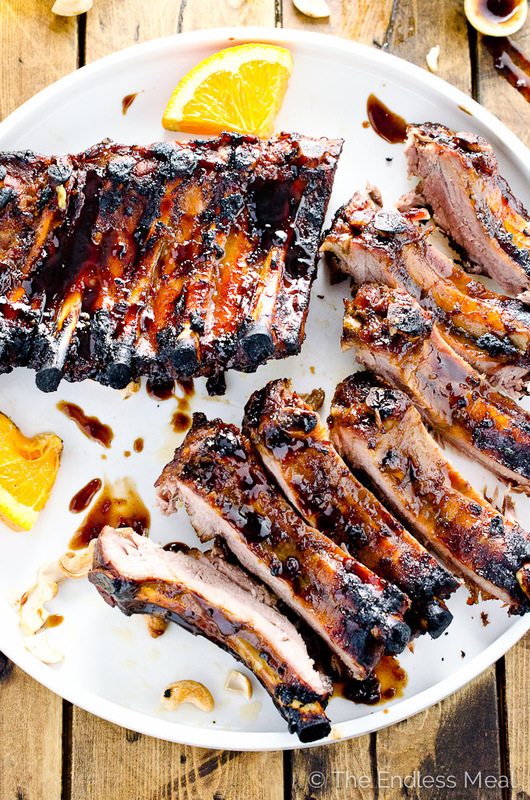 But never thought to use it on ribs, I bet that citrus flavor pairs beautifully with the savory ribs – this is brilliant! And man… just look at how juicy they look! I love it too! All the creative genius goes to Ricardo Cuisine … I wish I had thought of it myself! 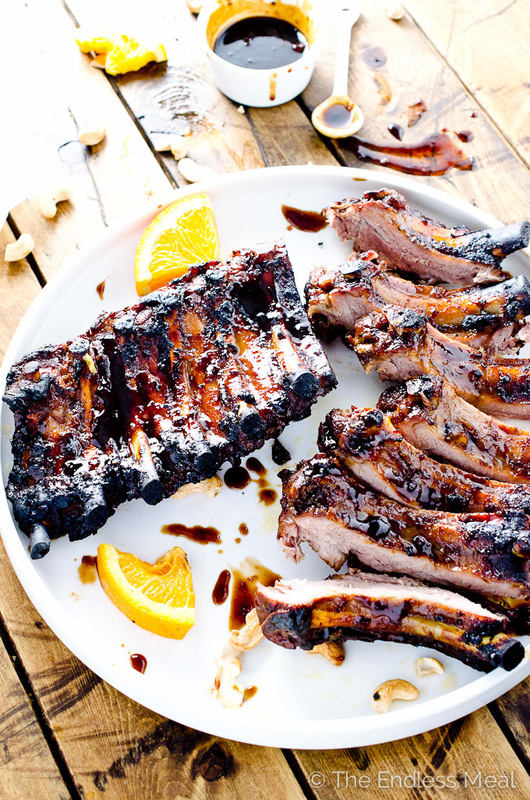 These ribs look amazing with that sauce! I’m drooling here just looking at them! Wow Kristen! These ribs look amazing!! They look super tender thanks to the 3 step cooking process. These ribs are seriously killer!